Matt Renwick is an elementary principal in Mineral Point, Wisconsin. Prior to this position, Matt was a teacher and school administrator in Wisconsin Rapids. He is the author of Digital Student Portfolios: A Whole School Approach to Connected Learning and Continuous Assessment (2014) and the ASCD Arias book 5 Myths About Classroom Technology: How do we integrate digital tools to truly enhance learning? (2016). Renwick posts frequently on his collaborative blog for literacy leaders, Reading by Example, and tweets at @ReadByExample. He also writes for Discovery Education and Lead Literacy. For more information about Renwick's work, visit his website. 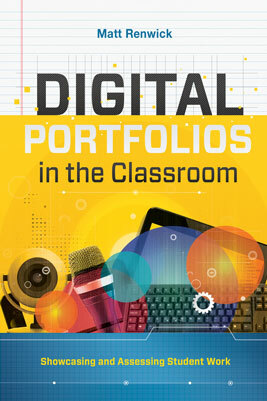 Matt Renwick shows how digital portfolios—dynamic collections of authentic information from different media—can capture student thinking and progress and help clarify assessment data.